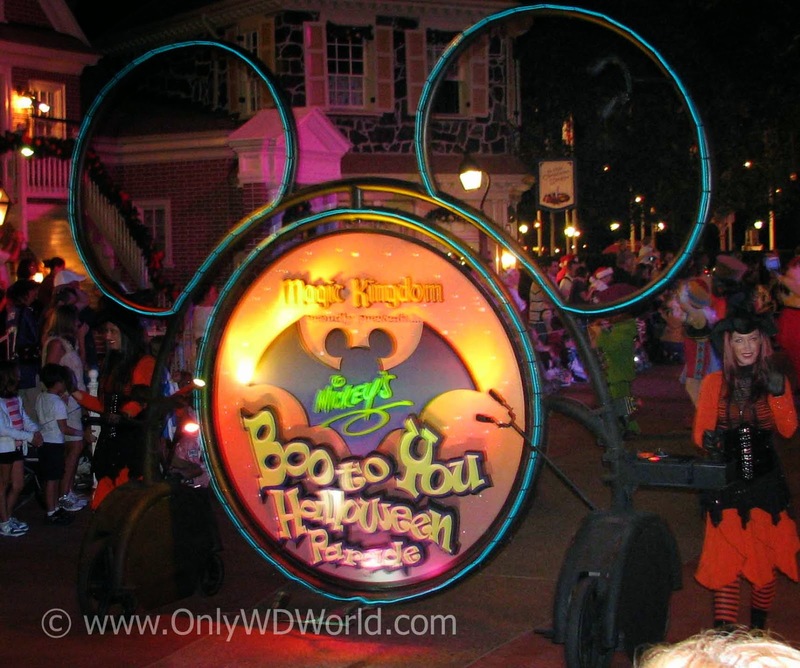 Home � Disney World Halloween , Disney World News , Halloween , Mickey's Not So Scary Halloween Party , MNSSHP � Mickey's Not-So-Scary Halloween Party 2014 Dates Announced! Mickey's Not-So-Scary Halloween Party 2014 Dates Announced! Celebrate Halloween with your favorite Disney Characters at Mickey's Not-So-Scary Halloween Party in the Magic Kingdom this year. It is a great chance to dress up in costume, trick-or-treat, and get great pictures with your favorite characters in their Halloween Costumes. You also won't want to miss the special Mickey's Boo-To-You Halloween Parade or the special version of HalloWishes Fireworks. Disney Villains Dance Mix and Mingle! Some of your favorite baddies from Disney films rock you with this thrilling opening number in front of a ghostly Cinderella Castle. When the number is over, the villains veer into the crowds for meet and greets. Venture into Frontierland where you might even meet a barbershop quartet of dead cowboys who sing songs in the style of the Dapper Dans. They like "axing" Guests questions and answering with puns as part of their "dead pan" humor. The grandmaster of this bone-rattling parade has truly lost his head! A hair-raising ride by the Headless Horseman himself begins the festivities, followed by a collection of frightful floats featuring Disney Characters in Halloween costumes. Get ready for the grave diggers! The Haunted Mansion stars in this delightful parade. It's really not so scary—just fiendish fun! The Ghost Host from the Haunted Mansion invites you to "drop in" as Disney Villains tear up the night with fireworks and wicked remixes of their theme songs. Cruella de Vil, Jafar and Oogie Boogie are just some of the scoundrels who croon their spooky tunes. Feel a chill as creepy colors crawl over Cinderella Castle. The finale casts a spell you will never forget! 0 comments to "Mickey's Not-So-Scary Halloween Party 2014 Dates Announced!"